Episode 1 Fate: Wake Up! 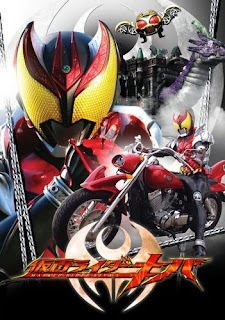 Episode 9 "Symphony: IXA, Fist On"
Episode 10 "Sabre Dance: Glassy Melody"
Episode 11 "Rolling Stone: Dream Door"
Episode 12 "First Live: Golden Speed"
Episode 13 "Unfinished: Daddy Fight"
Episode 14 "Pomp and Circumstance: Thunderstroke Purple Eye"
Episode 15 "Resurrection: Checkmate Four"
Episode 16 "Player: The Rules of Cruelty"
Episode 17 "Lesson: My Way"
Episode 18 "Quartet: Listen to Your Heart's Voice"
Episode 19 "Fusion: The Storm of Aura"
Episode 20 "Nocturne: The Lovely Messiah"
Episode 21 "Rhapsody: The Fate of the Ring"
Episode 22 "Overture: Fateful Intersection"
Episode 23 "Variation: Fugitives Forever"
Episode 24 "Emperor: Golden Fever"
Episode 25 "Fanfare: The Queen's Awakening"
Episode 26 "Metronome: Miraculous Memory"
Episode 27 "80's: Angry Rising Blue"
Episode 28 "Request: Time-Altering Battle"
Episode 29 "When the Saints Go Marching In: I am King"
Episode 30 "Curtain Raising: Kiva's Identity"
Episode 31 "Applause: Motherly Dedicated Transformation"
Episode 32 "New World: Another Kiva"
Episode 33 "Supersonic: Saga's Fight"
Episode 34 "Noise: Destructive Melody"
Episode 35 "New Arrangement: Flying Rose"
Episode 36 "Revolution: Sword Legend"
Episode 37 "Triangle: Behead the King"
Episode 38 "Erlking: Mother and Child Reunion"
Episode 39 "Shout: Targeted Brothers"
Episode 40 "Encore: Nago Ixa Explosively Returns"
Episode 41 "Lullaby: Release the Heart"
Episode 42 "The Power of Love: The King's Anger"
Episode 43 "Wedding March: Separated Time"
Episode 44 "Punk; Back to Father"
Episode 45 "With You: Final Transformation"
Episode 46 "Full Stop: Farewell, Otoya"
Episode 47 "Break the Chain: Follow Us!" Episode 48 "Finale: The Inheritors of Kiva"